Navigate the complicated stream of cause and effect in Until Dawn to save (or kill) your friends. Your choices determine their fate, so whether you're looking to unlock the best ending or the worst ending, check out some of these pivotal decisions to help take control of your destiny. Until Dawn is a Telltale adventure through the lens of '90ies slasher trash, but with knowing winks around every dark corner. Eight friends travel up to a cabin in the woods where they're menaced by dark creatures of the night. Serial killers, angry animals, and other beings work together to end this group of friends. It's your job to keep them alive - or let them die - it's all up to you, and whether you're especially good at completing QTEs. Discover more spoiler-ific stuff on The Escapist; unlock alternate endings in the indie horror homage Spooky's House of Jump Scares[/i] with our secrets guide. The endings of Until Dawn all depend on who survives the ordeal. Because of the nature of the game, it's impossible to avoid spoilers here. Continue at your own risk, or wait to check out these decisions after you've completed the story once. Survival (and death) mostly depends on successfully inputting QTE button prompts. 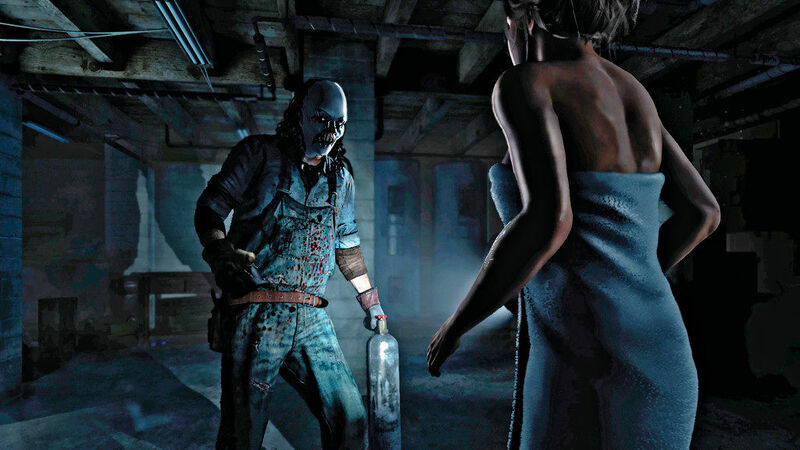 There are many, many ways to die in Until Dawn and this is not a comprehensive list. Instead, you'll find strategies to help keep you alive, or instances that always lead to death for all eight characters in each section. There are many moments that could lead to a character's death. Replay chapters after completing the game and make sure to correctly complete all QTEs in the game. Other than those, follow the suggestions here for a better chance at survival. These additional choices are important for keeping everyone alive throughout the night. 1. Don't shoot the squirrel in Episode 1. 2. Make sure that you befriend the wolf in Episode 4. 3. Collect all Twins clues to save Josh in Episode 10. During the sequence with Mike, he rushes to help Jessica. Successfully complete the QTEs here or Jessica won't survive the night. Make sure to always take the "Risky" route. To save her in Episode 10, make sure to hide when the creature appears in the mine. Choose "Hide" to survive, just follow the prompts correctly. While moving through the herd of wildlife, do not swing Matt's weapon. Leave the animals alone to get through this area unharmed. At the destroyed radio tower, you'll get the options to "Save Emily" or "Jump to Safety" -- select "Jump to Safety" to survive. If you do select "Save Emily" and have the Flare Gun, use it in the cave to survive. During the escape sequence in Episode 8 where Chris is armed with a shotgun, shoot every attacking creature to escape with his life. Returning to the lodge, your choice with Ashley in Episode 6 becomes important. Don't point your gun and shoot Ashley in Episode 6 -- she'll remember and keep Chris locked outside. To save Emily in Episode 8, you'll just need to successfully escape and complete the QTEs. In the sewer section, Ashley has a flashlight and hears a strange noise in the distance. Don't investigate it! Select "Rejoin Group" for less trauma. If you do choose to investigate, do not open the trapdoor. That leads to instant death. In Episode 4, Josh seemingly dies no matter what you do. That isn't the case. He'll survive until Episode 10 no matter what you do. To save Josh in Episode 10, you'll need all 20 Twins collectibles. Find all of them with the Twins Clue Locations Guide right here. These two survivors always make it to Episode 10. If you want them to avoid death, don't fail the prompts to keep still while avoiding the creature! Keep very still. When Mike is attacked, choose to "Save Mike" instead of running for the switch. Select "Hide" next, and you'll be able to escape with everyone. No one has to die! There are many, many opportunities to kill characters. Failing QTEs is the prime method, but there are some other ways to bring on a character's demise. After Jessica is pulled through a window, Mike will try to save her. Fail every prompt during the run to reach Jessica too late, resulting in her death. If Jessica survives and you manage to reach her with Mike in Episode 4, she can still die in Episode 10. When the creature appears, select "Try to Run" for a hopeless escape that won't work. During the sequence with Matt and Emily, the pair will carefully move through a herd of unhappy animals. Attacking them initiates a QTE. Matt is pushed back toward the ledge and falls. He'll grab the ledge and a QTE button prompt appears. Don't press it and Matt falls to his death. There's another section where Matt can be killed. At the wrecked radio tower, select "Save Emily" to fall into a cave. If you have the Flare Gun, don't use it. It's possible to save yourself here if it's used. While Chris is joined up with a flamethrower-equipped friend, you'll try to make it back to the lodge while monsters attack. Fail to shoot any of the lunging creatures for an instant death. To earn a trophy, rewind back to Episode 6. Here, you'll have the option to pull a pistol on Ashley and shoot her or yourself. Shoot her, and she'll remember in Episode 8, leaving Chris to die. Riding the elevator up, Emily is ambushed by a monster. Simply fail the QTE chase sequence, especially the button press down the hallway after pulling the chain, for an instant death. Later, Emily will try to evade the monster. Let it catch her -- she won't die, but she will get a nasty bite. When she reaches the basement with Mike, you'll have an opportunity to shoot her. Do just that and earn a trophy for yourself. In the sewers, Ashley will hear a sound that might be Jessica. Make the (not so) smart choice and select "Investigate Noise". Follow the path to a trapdoor. Do what seems dumb and open the latch, releasing a head-tearing monster. No matter what choice you make in Episode 4, Josh will survive until Episode 10. But, you're going to need all 20 Twins collectibles to save him. If you don't want to save him, just don't bother collecting any of these hidden items. To kill both Sam and Mike in the same sequence, all you need to do is fail two prompts to remain still while in the lodge. A monster is hunting the pair, and if you fail two tests, Sam bites the dust. With Mike as the lone survivor, he'll sacrifice himself to set the lodge on fire. If there are other characters, they can also die by making a mistake -- flipping the switch too quickly. All eight friends survived until dawn.